Have you ever had any of these challenges? I face similar challenges as an author, so I totally get it – release something into the world with high hopes only to find that it’s met with much less than expected. Even as a well-heeled PR veteran, I hired the wrong PR team and I had to fire them and start my last book release all over again. There’s a big problem in the music business today. The huge problem all creators are facing today is that anyone can push a few buttons and release whatever they’ve made into the world. The Internet has been a great leveler and it provides everyone equal opportunity and this is why having a real plan is critical. Great music is the starting point. Identified true niche markets and conquered them! Time – Our Total Tuneup is an artist development roadmap that deeply dives into each area that you choose to focus on, providing our top recommendation in each area, so you don’t waste any time or energy. Implementation – We lay out a step-by-step guide in each area, so you will know exactly what to do, and in what order to do it, to get to your goals. A REAL Social Media Strategy That WORKS! How is a Total Tuneup different? 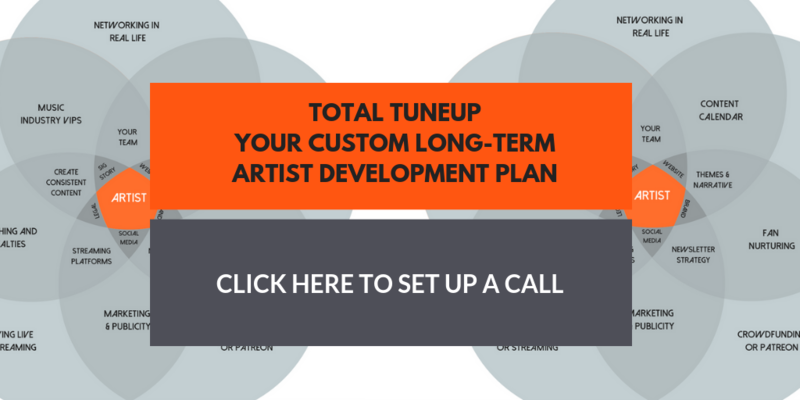 A Total Tuneup is designed to serve as your custom artist development plan. The process we use to create each Total Tuneup (TTU) comes from our 20+ years of working with musicians and observing those who build sustainable careers vs. those who burn out due to lack of planning and preparedness. 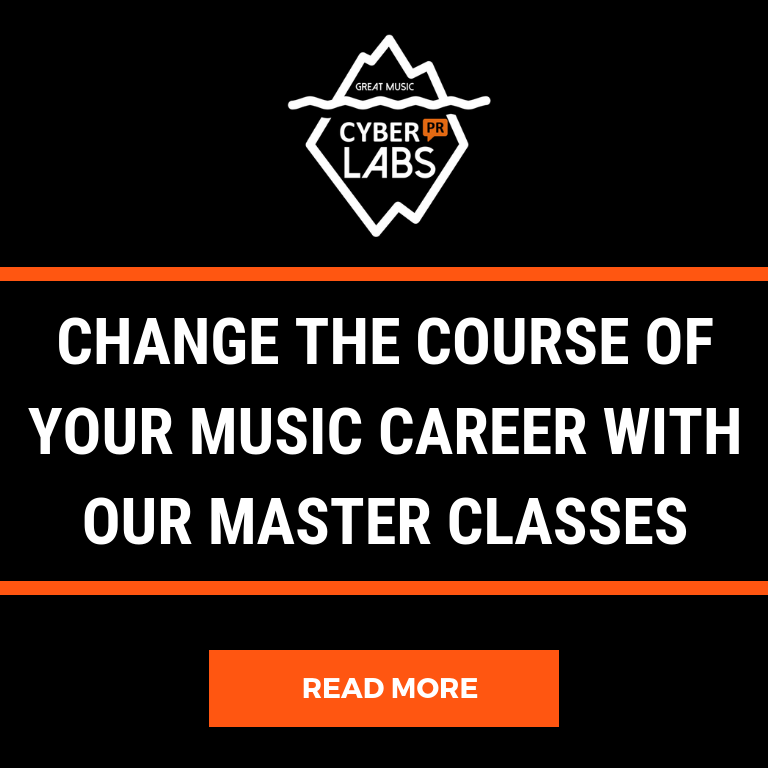 We have observed that artists who have capable strategists around them who understand all of the new music business components and how they fit together experience more success and have longer careers because they don’t get overwhelmed and burned out. Sadly, very few managers, marketers and labels possess artist development knowledge. It is rare to find teams who understand the full scope of the entire ecosystem and know all of the necessary steps needed. So, artists jump straight to hiring a publicist or a radio promoter without a foundation, and this never yields the long-term impact that was expected. To make matters worse, publicists, radio promoters, and service-based businesses “silo” their tasks without communicating with each other, and in many cases, artists don’t have a team for them to communicate with. Nor do they have a plan to position the wins and the opportunities for maximum impact. And the pressure of consistently releasing new music, social media posting, website updating, newsletter crafting, gig booking, plus learning new technologies and platforms (not to mention the actual creation of the music and practicing) keeps artists busier than ever, further battling key planning and long-term perspective. Why might a Total Tuneup be right for you? Instead of staying in reaction mode your Total Tuneup puts you into action mode. With it, you’ll know what to expect months before it happens, so you can take full advantage of all the wins you work so hard to achieve. Each one of your “wins” will have structure and framework placed on them so that no great opportunity you create goes wasted or gets overlooked. We know, a 100-page plan will create work for you – here’s the TRUTH: succeeding in this business is a lot of work (that’s a fact). If you expect this all to be done for you, you have chosen the wrong business. However, don’t fear! Each Total Tuneup will recommend companies that can help you implement all of the parts so you don’t have to do it all alone. We will make suggestions for outsourcing, finding interns, affordable virtual assistants (VAs), and more. Your Total Tuneup will save you a lot of wasted money and frustration and help you accomplish your goals. Because of the hands-on nature of these plans, we only sell a few per month. Don’t wait to be in action mode – start planning the next steps of your career now. And because we know artists are not made of money, we do offer payment plans, and yes we accept credit cards. 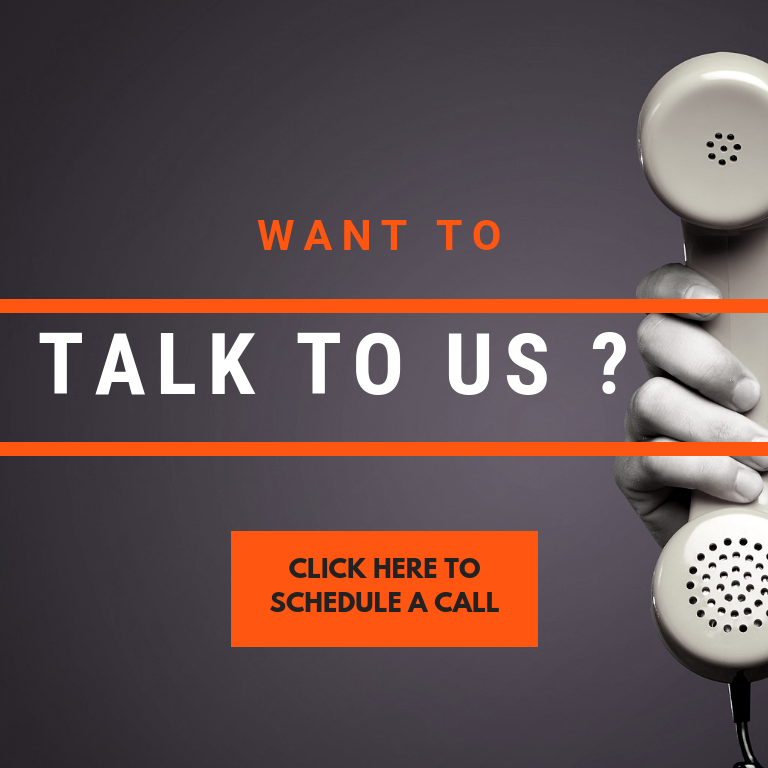 Click here to schedule a call and discuss your needs and see if a Total Tuneup is right for you.